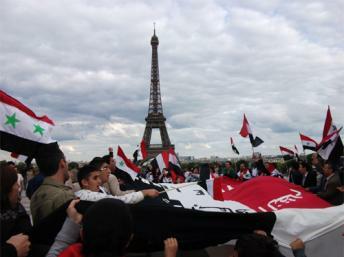 Syrian demonstrators took to the streets of cities across the world on Saturday in protest against the Syrian regime. In downtown Montreal about 300 people gathered, chanting, “the people want an end to the regime”. While in Paris near the Eiffel tower activists were demanding for an end to corruption and tyranny.